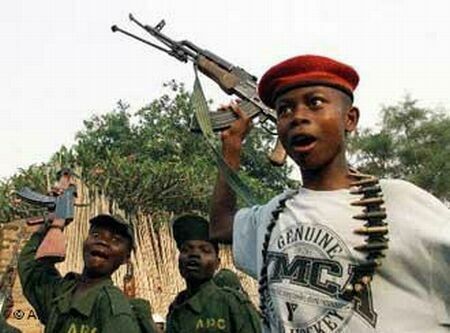 In 2008, President Bush signed the Child Soldiers Prevention Act into law. This law provides protection for children across the globe by preventing the United States government from providing military aid to nations which utilize child soldiers. Barack Obama has chosen to evade the 2008 law. Obama has effectively placed his own administration above the law in allowing military aid to Chad, the Democratic Republic of the Congo, Sudan and Yemen. The six nations currently identified as using child soldiers are Burma, Chad, the Democratic Republic of the Congo, Somalia, Sudan, and Yemen. The U.S. does not provide military aid to the brutal dictatorship currently ruling Burma. This means that, out of five nations which should not receive military aid from the United States taxpayers, the Obama administration has unilaterally decided to grant four wavers. Only Somalia is being sanctioned for the use of child soldiers — and the government of Somalia is fighting a losing war against Islamist insurgents who are allied with Al Qaeda. So where does that leave the United States? Do we support the use of children in war or do we oppose it? Is training child soldiers in Africa a legitimate use of U.S. taxpayer funds? Do we prefer to put a barely trained 10yr old African child on the front lines, or a well trained 18yr old American Marine? More importantly, do we live under the rule of law or under the rule of men? Why do we bother having laws at all if we allow presidents to simply make up the rules for their own convenience?